The AFL season’s first week was a little lacking on opportunities for Twins pitchers and the well-known name among their position players is currently missing in action (for good reason), but a couple of outfielders had big games to stand out amongst their organizational peers. The hometown prospect also notched one of the Salt River Rafter’s two victories on the week in extra innings. So how did each of the Twins prospects fare in the first week of the AFL season? Keep reading to find out! Brent Rooker: Did not play (ankle injury). Hopefully he is able to play some games soon! Griffin Jax: 1 appearance, 1.0 IP, 3 H, 2 R (1 Earned), 0 BB, 0 K; 9.00 ERA (overall). In their 6-2 loss to the Scottsdale Scorpions on Friday, Jax was the first man summoned from the bullpen to start the bottom of the third inning. He was greeted by a triple from the first batter he faced and found himself in trouble immediately. That runner scored on a groundout to the next batter and he’d get another ground ball for the second out before more trouble came. A single, wild pitch to move the runner into scoring position, and another single to score him soured his line before he got a fly out to end the inning. Of his 30 pitches, just 18 went for strikes and those included one swinging strike and nine foul balls. If he’s not starting I’d expect Jax to be tabbed for more than one inning, but 30 pitches early in the AFL season is on the high end for anybody. I will be curious to see if he starts any games moving forward. Luke Raley: 3 games, 3-for-12, 2 R, 3B, 3 RBI, 2 BB, 2 K, SB; .250/.357/.417 (overall). Raley made the start in three games on the week, playing left field for one of those and right field in the others. In the season opener on Tuesday the 9th, Raley was a big contributor to the Rafters 10-8 win against the Surprise Saguaros out of the leadoff spot. He finished 2-for-4 and drove in three runs to lead the offense. His first single of the game came in the top of the third with two outs, then he capped a five-run fourth inning with a sacrifice fly that put Salt River out front 5-3. In the top of the eighth with the score 7-6 in favor of the Rafters, Raley added some insurance with a two-out single that drove in two runs to cap a solid AFL debut. I said in last week’s AFL preview that you could see a leadoff profile in there, so it will be fun to see how much time he spends there during this season. When he was back in action on Thursday for Salt River’s 7-6 win against the Scottsdale Scorpions, he wasn’t back in the leadoff spot, but it also says a lot about a guy when he’s penciled in the three-hole instead. In six plate appearances he didn’t pick up any hits but did draw two walks and scored a run. It just so happens that one of those walks came while he led off an inning (then he promptly stole second base), and the other was of the intentional variety with the game on the line in the 11th inning. Before that intentional walk, Raley also erased the runner starting the 10th on second base with an outfield assist from right field. Raley finished his week with a 1-for-4 effort in the 6-2 loss against Scottsdale on Friday, where he again batted third in the lineup. With two outs in the top of the 6th, he clubbed his first extra-base-hit of the AFL season, a triple to right field and would score on a single from the next batter. He did strike out twice in this game, but overall a solid first week from an outfielder new to the Twins organization. Hector Lujan: 1 appearance, 0.2 IP, 4 H, 3 ER, BB, K; 40.50 ERA (overall). Lujan made just one appearance in the AFL season’s opening week, and I’m sure it’s one he’d like to put out of his mind as soon as possible. Though they would end up winning the game in extra innings, Lujan was charged with a blown save after coming on for the top of the seventh in Thursday’s tilt versus Scottsdale. The first four hitters he faced all reached base, and his first out of the frame also resulted in his third earned run that gave the Scorpions a 5-3 lead. He picked up a strikeout before another single ended his day. His numbers will likely appear skewed for the rest of his time in the AFL because of this game, but a positive sign is 17 of his 23 pitches went for strikes in the outing, including topping out at 96 MPH on the radar gun with his fastball. Travis Blankenhorn: 2 games, 0-for-7, R, 2 BB, 2 K; .000/.222/.000 (overall). Blankenhorn played in two games on the week, leading off in Wednesday’s 11-9 loss to the Saguaros, and batting seventh in Friday’s 6-2 loss on Friday. He played second base in both contests. In his debut on Wednesday, he led off the game by striking out on a pitch in the dirt but reached first base after a throwing error from the catcher. He would get to third on a single from the next batter and score the first of four runs in the inning on a pickoff attempt gone awry for Surprise. He also drew the fourth walk of six total in the eighth inning that led to another four runs, but that was as close as his team would get. Against Scottsdale on Friday he drew a walk in the seventh inning as Salt River tried to claw their way back into the game but ended up stranded on third base. Blankenhorn will look to pick up his first hit in week 2. Devin Smeltzer: 1 appearance, 2.0 IP, 3 H, 2 K; 0.00 ERA (overall). Another new player to the Twins organization, Smeltzer made a single appearance in Salt River’s 11-9 loss to Surprise on Wednesday. He was one of the two Rafter’s pitchers out of six to not allow a run in the game, and as a feather in his cap that came across two innings pitched. He worked around an infield single in the fifth, and a pair of singles in the sixth to complete his scoreless outing. He finished with two strikeouts and 23 of his 35 total pitches went for strikes, including four swinging strikes. Glancing through his pitch log and correlating some of his scouting reports, he’s not ever going to be a power bullpen arm (no pitch over 90 MPH in this outing), but a deep repertoire and funky delivery has kept hitters off-balance to this point. Fangraphs also likes his curveball, changeup, and command enough to see some major league value in the future. Jaylin Davis: 2 games, 4-for-9, R, 3 RBI, 3 K; .444/.444/.444 (overall). Davis started two consecutive games during the week, once as the DH and once as the left fielder, batting eighth in both lineup constructions. In Wednesday’s loss to the Saguaros, Davis was a standout for the Rafters as the designated hitter. He finished 2-for-4 with two K’s, but also racked up three RBIs. He also came through in the clutch, as his two-out single in the bottom of the first drove in two runs, and another two-out single in the eighth brought in the first of four runs in the frame to bring the home team back within two. In Thursday’s win against Scottsdale he again picked up a pair of hits for the home team but wouldn’t get further than second base. After reaching base on a fielder’s choice in the sixth, Davis also picked up his first stolen base of the AFL season. He’ll look to pick up his first extra-base hit this week. Adam Bray: 1 appearance, 2.0 IP, 2 BB, 2 K; 0.00 ERA (overall). Bray made his lone appearance on the week in the Rafter’s win against Scottsdale on Thursday. He was also credited with the win as he took over in extra innings, completing both the 10th and 11th without allowing the runner starting on second base to score. He was assisted in the 10th inning by Raley’s outfield assist, then worked around a walk with a couple of strikeouts for a scoreless 11th before his team pushed the winning run across in the bottom half. 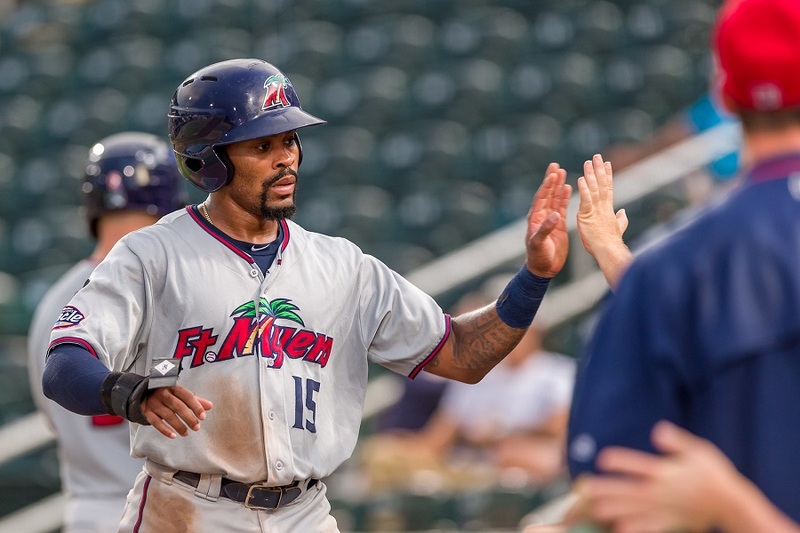 -Fangraph’s Eric Longenhagen took a look at the AFL rosters after they were announced, and singled out Brent Rooker’s ability to identify breaking balls as his lone note on Twins prospects. -MLB Pipeline announced their 2018 Twins Hitting and Pitching Prospects of the Year, with Alex Kirilloff and Brusdar Graterol taking home those honors. -In their 2018 Toolshed Power Rankings, MiLB.com ranks the Salt River Rafters at number five. A weakness called out is their lack of star power. Now that the first week is behind the guys and they are settled in, time to see what they can do over the next month.Really like the starts Raley, Davis and Smeltzer are off to.Hopefully, Rooker will join the action soon. Nice to see Raley make some noise early. A good showing could be big for him. There are already so many other corner OF/1B types in the system, but obviously the front office saw something they liked in him. I'll be interested to see how everything shakes out. I guess the thing that caught my eye here is that "corner OF/1B types" are not typically simultaneously referred to as "potential lead-off types" as @HangingSL refers to Raley.He must have some speed despite his size, to go along with the OBP potential.Maybe a chance to be a solid corner guy defensively despite the size/power profile, as well?I notice the Dodgers minor-league coaches had been throwing him in at CF (rarely, but still). I didn't get a chance to see him, but some of his numbers -- triples, stolen base success rate -- would appear to support that theory. One thing that sticks out in terms of his on-base ability is he gets hit by a comical amount of pitches. Only one other player in Double A was hit more often last season than Raley (24). He's been plunked 53 times in his young career! To put that in perspective, in the same number of games (though 98 fewer plate appearances), Jaylin Davis has been hit by 20 pitches in his career. I thought Travis Blankenhorn got hit a ton, and he "only" has 35 HBPs in about 100 more PAs than Raley. Safe to say this guy's not afraid of the ball, lol. Sure hope his future OB success isn't tied to getting plunked! R seen were guys like Henderson and Raines who had it all. But those guys just don't grow on trees. Despite his "streakiness" the only problem with Dozier batting #1 was his power was needed lower in the lineup. Still a shame Mauer wasn't hitting #1 sooner with Dozier in more of an RBI spot. But in retrospect, you can't argue with the production he achieved from his spot in the order. Also why I'm in favor of the Twins adding a nice, productive, veteran bat on a 1-2 year deal. Ideally, said player could be in the field a day or two here and there without embarrassing himself. Right now, Polanco is the best choice to bat #1 in 2019. But he's also shown to be a great fit in the 2-3 spots. Said veteran bat could allow him to move to leadoff, OR, be a dangerous bat in the top spot and keep Polanco where he's been doing so well. If Raley's power is for real, and his eye and OB ability are real, (again, love to hear a more detailed observation), there js absolutely room for him! Also, really sorry to see Rooker missing time here. Especially considering he finished 2018 in a slump. But he showed last season he could make adjustments after his slow start. I have to believe it was just the grind of the end of a long and first full season of pro ball. A year ago, he was playing a college schedule and coming off just a half season of pro ball. We often talk about potential and deserved promotions, but even for young men in their late teens and early 20's, in prime physical shape, there is more to learn and adjust to than just the game. There is also the physical and mental grind to a full season. Let's hope his ankle responds quickly and he gets at least a little AFL time to build towards next season. I don't think he has above average base stealing type of speed, but he's racked up enough triples to suggest he moves pretty good when under way and the amount of runs he scores suggests an excellent baserunner. I see him as a potential leadoff type for that reason and because of the above average on-base percentage. Salt River had a nice 2-1 win in extra innings last night.Tied 0-0 after nine, Salt River came to bat with a runner on second down 1-0.Jaylin Davis drove in the tying run with a ground out.Travis Blankenhorn was at the plate when the winning run scored on a balk.Davis and Blankenhorn both had one hit on the night. Travis Blankenhorn was at the plate when the winning run scored on a balk. He gets an RBI* for that, right?